Fish of the year mate! the fish of a lifetime dont see to many that size anymore , well done . 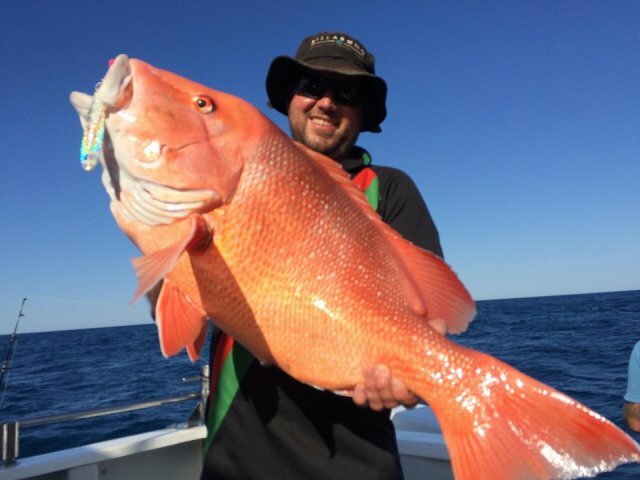 For the language but fark me, jigging flat stick for the last 14 days at Coral Bay for not 1 red(on jig), let alone a monster like that..
Well done on cracking fish by any method. Well done on the catch and of a very good photo.